Step 1: to be able to install the application correctly, you need to access the Settings menu of your Android. There you’ll find the option to authorize and accept the download of apps from unknown sources. You’ll be warned about the possibility that certain applications may damage your device as their origin cannot be certified as trustworthy. Simply close the notification, understanding the risks you’re taking. Step 2: now download the application. You can do so straight from Mobdro’s official web by typing the URL into the browser or simply pressing the green Download button you’ll find at Malavida and that will take you directly to the download of the APK. This file will be downloaded and saved in the download folder of your mobile device. Step 3: once you’ve completed the download, go to the notifications panel (that you can drop down from the upper part of the screen) or go to the folder where you save your downloaded apps using the file manager. Tap on the notification or the app itself. Step 4: once again, you’ll be warned about the danger of installing applications in APK format. Press OK and confirm the installation. After a few seconds during which the operating system will take care of extracting all the packages, you’ll be able to access the application from your Android’s home screen. 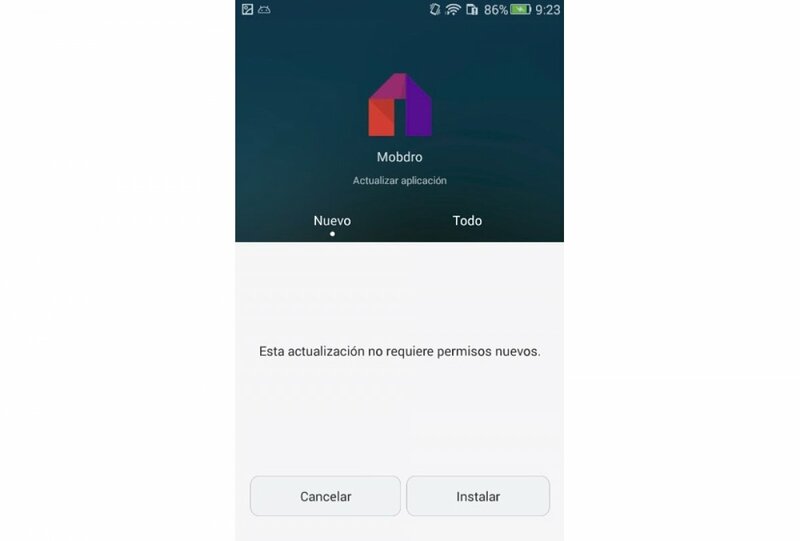 That’s how easy it is to install Mobdro.